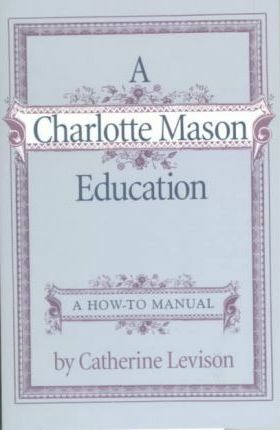 The immensely popular ideas of Charlotte Mason have inspired educators for many decades. Her unique methodology as written about in her six-volume series established the necessary protocols for an education above and beyond that which can be found in traditional classroom settings. In A Charlotte Mason Education, Catherine Levison has collected the key points of Charlotte Mason's methods and presents them in a simple, straightforward way that will allow families to quickly maximize the opportunities of home schooling. With weekly schedules, a challenging and diverse curriculum will be inspire and educate your child. A Charlotte Mason Education is the latest tool for parents seeking the best education for their children. "When I became interested in this way of learning and wanted to know how to begin, this was the only book that accomplished my goal. Highly recommended." "Surely, you will, as I did, find something to enhance the education of your children immediately. Catherine makes it so simple for us!" "As a teacher of twenty years, I have greatly appreciated Catherine's guidance in introducing the Charlotte Mason method in my teaching." "Catherine Levison has written the perfect introduction to the Charlotte Mason method. A must." The immensely popular ideas of Charlotte Mason have inspired educators for many decades. Her unique methodology as written about in her six-volume series established the necessary protocols for an education above and beyond that which can be found in traditional classroom settings. In A Charlotte Mason Education, Catherine Levison has collected the key points of Charlotte Mason's methods and presents them in a simple, straightforward way that will allow families to quickly maximize the opportunities of home schooling. With weekly schedules, a challenging and diverse curriculum will be inspire and educate your child. A Charlotte Mason Education is the latest tool for parents seeking the best education for their children. "I found these books extremely practical and thoughtful." --Cathy Duffy, author of the Christian Home Educators' Curriculum Manuals "When I became interested in this way of learning and wanted to know how to begin, this was the only book that accomplished my goal. Highly recommended." --Lorrie Flem, editor of Teach Magazine "Surely, you will, as I did, find something to enhance the education of your children immediately. Catherine makes it so simple for us!" --Bob and Tina Farewell, Lifetime Books & Gifts "As a teacher of twenty years, I have greatly appreciated Catherine's guidance in introducing the Charlotte Mason method in my teaching." --Maggie Dail, MA, of Master Enterprises Learning Center "Catherine Levison has written the perfect introduction to the Charlotte Mason method. A must." --Penny Gardner, author of Charlotte Mason Study Guide Catherine Levison has over a decade of home schooling experience. The mother of five, and a grandmother, Catherine is apopular teacher and lecturer.